A former Coaching Inn, the King's has been offering food and refreshments to guests for over 200 years. Nestling between the Galloway hills and forests to the north, the sweeping beaches of the Solway Firth to the south, the historic market town of Castle Douglas with stunning scenery, castles and stately homes, all around. A perfect base to explore enjoy the unspoilt beauty of Dumfries and Galloway or as a stop off heading to Ireland. David is only too pleased to recommend routes to ride. Drying room and secure off-road parking. 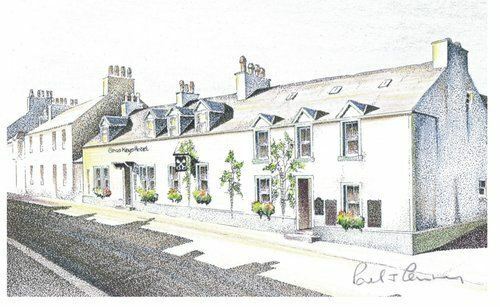 This 17c former Coaching Inn is set in the centre of the smallest and most picturesque Royal Burgh in Scotland at the top of Loch Ken and on the edge of Galloway Forest Park. 10 cosy en-suite bedrooms with tv, dvd, radio and hospitality tray, a traditional bar with a good selection of bottled Real Ales and Malts, a welcoming log fire and specialising in excellent fresh, local produce. This is the perfect base to unwind and explore the outstanding natural beauty of South West Scotland. There are miles and miles of open road, both forest and coast to ride and enjoy the finest views of Dumfries and Galloway. Great stop off point also, if on route on the A75 to Cairnryan for Irish ferry crossing. Wi-fi access and lots of local knowledge. Traditional hospitality at it's very best! Free Wi-Fi. Drying facilities, motorcycle washing and secure private car park. 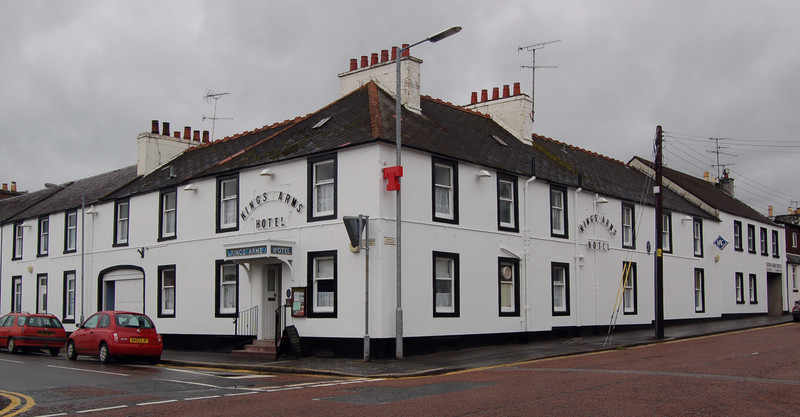 A small Hotel situated in the centre of Callander with regular live music from quality performers every weekend. Eight spacious en-suite rooms, comfortably and attractively furnished, all recently refurbished to a high standard, with bath and shower, at great rates which includes a free drink on arrival. In Perthshire’s main tourist resort of Callander, in Loch Lomond and The Trossachs National Park, with easy day trips to Stirling, Glasgow and Edinburgh. Free Wi-Fi. Motorcycle washing facilities. Great big private parking at the rear of the building, with CCTV and security systems. Strathcarron which overlooks Loch Carron and surrounded by Scottish hills. exploring the area with the open roads of the Highlands, the nearby coast, lochs, the village of Kyle of Lochalsh, Eilean Donan Castle and the magnificent Skye Bridge. Situated in the heart of the coastal town of Thurso, touring base for visiting other areas in Caithness, such as Mey Castle, John O’Groats and Dunnet Head - the furthest point North of Mainland Britain, where the views are breath-taking and well worth a visit. You can also take a ferry to the island of Orkney from Scrabster Harbour. Biker Friendly pubs, Biker pubs, Biker pub, Motorcycle Friendly pub, Bike meets, Biker hangouts, Scotland, Borders, BIKERS WELCOME Banner, Motorcycle Friendly pubs, Biker owned pubs, bikers are welcome, The Loch Lomond and Trossachs National Park, A short ride to the Green Welly Stop; extremely popular with Bikers.